A point from a free by Alan McCahey two minutes into stoppage time saw Magheracloone keep their championship hopes alive while dumping Carrickmacross out of the race in this closely contested and at times exciting contest in Inniskeen on Saturday evening. The sides were level 5 times in the first half and went in level at the break at 0-5 apiece, Stephen Gollogly with all 5 points for Carrickmacross from frees. 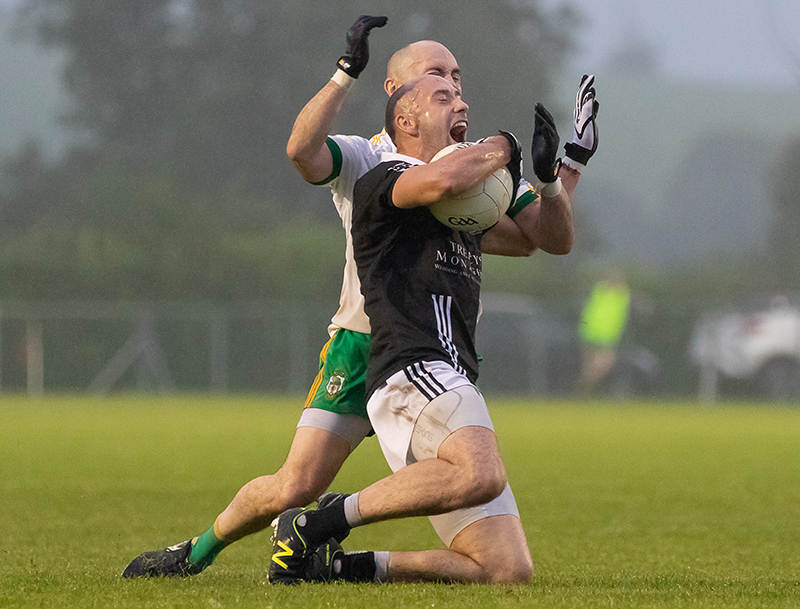 The second half was a similar story as it was point for point until Carrickmacross opened a two points lead for the first time in the game with nine minutes remaining but they were not to score again as Magheracloone fashioned a strong finsh to hit three unanswered points to seal the win. Carrickmacross finished the game with 14 players after Jamie Guinan was sent off on a second yellow card at the end of the third quarter. Magheracloone: J Kirk, M Jones, P Ward 0-1, J Lambe, P Lambe, J Ward, J McMahon, G Doogan 0-1, J Kieran, P McMahon, M Metzger 0-2 (1f), P McArdle, A Kieran 0-1 (’45), L Murray 0-1, A McCahey 0-5 (4f). Subs: P Tuite for P Lambe, B Kieran for L Murray.